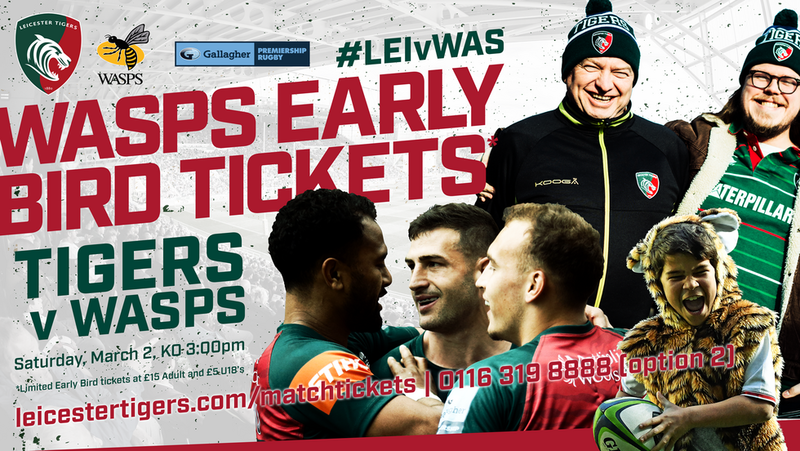 Tickets to this season's match against arch-rivals Wasps at Welford Road are selling fast and, as of 2.00pm today (Monday, January 14), only 100 remain available at the Early Bird rate of £15 for Adults and £5 for U18s. Prices will increase once this exclusive offering is exhausted for the Round 15 fixture in this season's Gallagher Premiership. Don't delay, secure your spot to this must-see match now by purchasing your ticket online HERE, over the phone on 0116 319 8888 (option 2) or in person at the Welford Road Box Office. 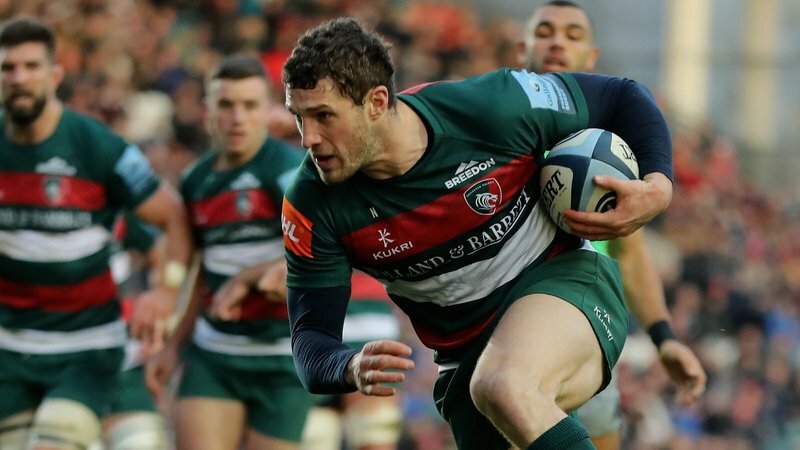 Last season's showdown with Wasps at Welford Road was one of the matches of the 2018/19 campaign in front of a SOLD OUT crowd and, with the two clubs once again battling it out for a place in the Premiership play-offs, it's bound to see a big crowd fill the the historic home of the Tigers Family on Saturday, March 2. 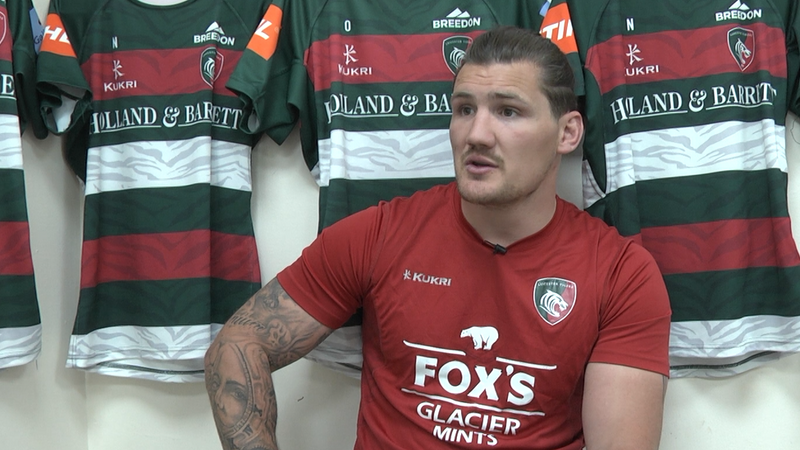 Only one point separated the two teams at full time in last season's match, with the highlight being Mat Tait's memorable try-saving tackle in the south west corner to prevent victory for the visiting Wasps squad. Get behind the Tigers squad for the run home in 2018/19 by securing your spot now at this Early Bird, best value offer starting from just £15.